Hours: | Monday through Saturday: 12 m - 12 pm | Sundays and holidays: Closed | December 24 and 31 Lunch 12:00 m - 5:00 pm. Atop the beautiful Monserrate Mountain, the citizens of Bogota have been able to enjoy the best French cuisine in the city for the past 31 years. 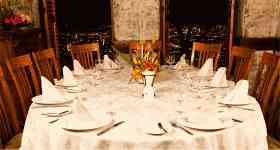 Since then, the restaurant has become famous for its gastronomic seasons, present throughout the year. Fish in time of lent, a French menu in May and June, lobster in September, wine and champagne in December: always generating new and delicious options for its guests. 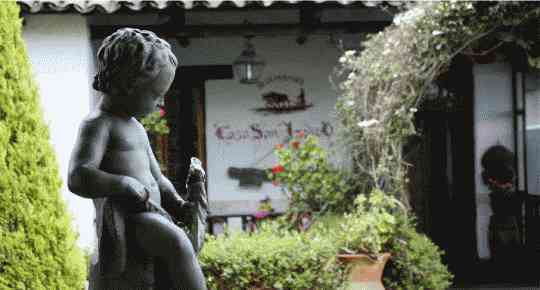 This colonial building, whose decoration evokes the tranquil and romantic mood of the city in the XIX century, is today the ideal place to taste delicate meats, poultry, rabbit and fish, with the soft whisper of the piano in the background, or if you prefer, on our panoramic balcony with the beautiful sights of Bogota at your feet. Casa San Isidro has several options for your special, business or family occasions, as we have previously selected menus available and paired with the finest wines, depending on the occasion. We invite you to review these menus. Casa San Isidro offers its customers, by means of a modern and technological platform, a virtual tour intended to show its beautiful installations and spectacular environment, with 360°panoramic views. Enjoy them virtually and we hope that you will come and enjoy them personally. So as to offer you a better service, Casa San Isidro puts at your disposal an advanced national and international reservations system that allows you to make and confirm your reservations online. 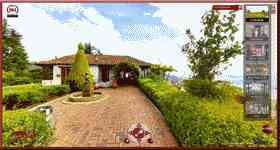 Establishment managed by Administradora Monserrate, certified under Icontec ISO 9001 regulations of 2008.